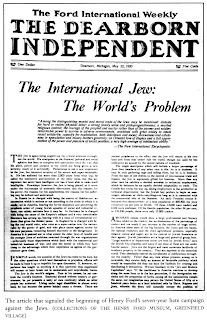 The Dearborn Independent, also known as The Ford International Weekly, was a weekly newspaper established in 1901, but published by Henry Ford from 1919 through 1927. The paper reached a circulation of 900,000 by 1925 (only the New York Daily News was larger in this respect), largely due to promotion by Ford dealers due to a quota system. 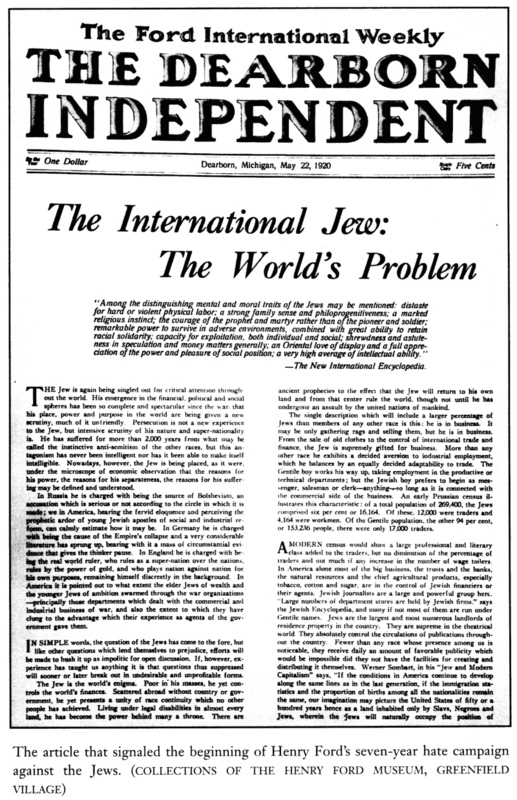 Lawsuits regarding the anti-Semitic material caused Ford to close the paper, the last issue being published in December 1927.